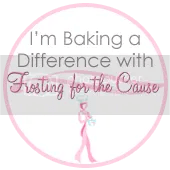 I feel fortunate to have met the lovely Abby Dodge at a recent foodie event and equally grateful to have joined in on #baketogether, a community where all foodies (bakers, bloggers and chefs alike) get together and share their spin on a particular recipe. This months assignment “R’ock-tober #baketogether ~ Classic Spiced Sour Cream Coffee Cake YOUR way”. Since I just joined #baketogether this past weekend and with much of the month behind us, my imagination went to work. I’m making apple muffins with a brown sugar apple topping, similar to a Greek recipe called Revani that my mother made when I was a child. The reason I’m grateful I’ve joined #baketogether is because I get to learn incredible new recipes from some pretty incredible bakers, and make some new friends. In a bowl, combine the flour, baking soda, cinnamon, nutmeg and salt, mixing all ingredients until incorporated, set aside. In a bowl, add butter, sugar and vanilla mix on medium speed for 3 minutes. Add eggs, one at a time, beating well after each addition. Incorporate half of the flour mixture mixing at a low speed just until blended. Add the Greek yogurt mixing well until blended. Add the remaining flour and fold into mixture with a spatula until all ingredients are incorporated. Add sliced apples and mix well. Grease muffin pan with butter or shorting, sprinkle lightly with flour to prevent sticking or you can use baking cup liners. Fill 3/4 from the top. Bake until a golden brown. Cook for 20 to 25 minutes. Let muffins cool in the pan on a wire rack. While the muffins are baking, begin preparing the vanilla bean brown sugar apple topping. Setting your stove top to medium high heat, place water, brown sugar, butter and vanilla bean paste in a saucepan, heating until sugar has melted and the mixture begins to boil. Reduce heat, add the sliced apple wedges and simmer, stirring for 15 minutes minutes, until apples are caramelized, set aside until ready to use. Once the muffins have cooled, using a pairing knife, gently loosen each muffin from the pan and place on serving dish. Generously spoon vanilla bean brown sugar sauce atop of muffins, allowing to soak into top layer, place apple slices atop by arrange in layers. I thought these muffins would be great for breakfast, an afternoon snack or dessert. And then I thought, I have been baking way to much, so I’m sending these to work with the lovely Jeff. Those look like perfection! So glad to see the post. Perfect for a chilly fall day! Baketogether sounds like an awesome community! So many great & talented bloggers on Twitter. Thank you! You should join – it’s fun! Mmmmmm I just made my bake together coffee cake and love it! I love all Abby’s recipes and I love baking with friends all around the world which I still find so cool! Yum muffins! Goodness – I adore all your baked goodies. I can’t wait to read your post! Love the use of vanilla bean paste and the apples, so pretty. Thank you Rachel for visiting my site! Your pumpkin whoopie pies are to die for! So delicious looking! I made a lovely apple coffee cake too and I love the look of your muffins! Abby is da bomb, that is for sure 🙂 Excited to be part of this community. You apple coffee cake looks incredible! I can’t wait to #baketogether some more! Well yum. That looks so wonderful. Love the pictures. You always do such a great job. Have I told you how much I heart you! Well I am crazy about the two of you, mwah! This looks seriously delicious. Thanks for sharing the recipe! Love your book and the group sounds like a blast. Heather, Thank you for stopping by! Love you site too – beautiful photography! That vanilla bean brown sugar sauce sounds heavenly! Sylvie, thank you for swinging by! I’ve been on a vanilla bean paste craze lately – my favorite flavor!